If you want to add a new category, go to the Catalog/Categories/Products list. Click on New Category and then fill in the necessary information. Afterwards click the Save button. If you want to add a subcategory, click on the folder icon in front of the category name. After the new page opens you will need to perform the same actions of adding a category. If you want to delete a category, click the icon in the Action column. Note: if you delete a category all subcategories and products will also be removed! You can either confirm removal or cancel the action on the next page. Creating a product is done in a similar way: enter the category and click on a New product. and then enter the product details. You may also upload an image for your product at this point. 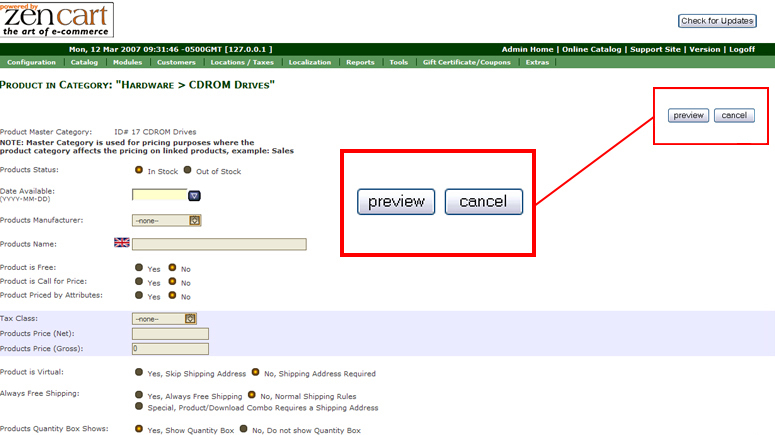 As soon as you finish the editing of the product information, please, click the Preview button. You will see the new product view. If you want to finish editing the product information click Insert; else, click Back to continue editing the item. You can also list the newly added product under each category. To do that you need to move the item under the desired category – click the purple ‘m’ icon at the end of the row. 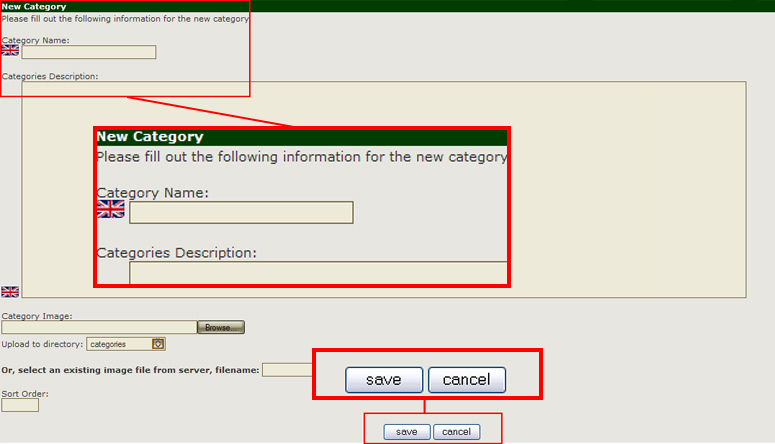 You will be prompted to select the category for a drop down menu. Select the necessary category and click the Move button below.